Not my house. At least, not yet. When you buy a house, the bank wants its mortgage payments and the county wants its property taxes. These are minor matters in the larger scheme, however. The real challenge is this: Nature wants your house back. Over the long term, nature will win. Some years back, the Significant Other and I bought a newly built house. During the first big wind and rain storm, water pushed under the sill of a slider door and left a puddle on the living room floor. I cut a piece of lumber cut to fit the space, nailed it in and caulked it all around. The next storm cripped a bunch of shingles off the roof. I called a roofer and had them replaced. Then a couple skunks dug their way under the house one night. They got in a fight, and one of them died. I called a pest control company to remove the (very, very) smelly carcass and a handyman to build a barrier at the skunks’ access point. I planted climbing hydrangeas that grew so well they started covering the windows. I cut the hydrangeas back; they returned the next year. I applied herbicide; two years, later the hydrangeas returned again. I gave up. As usual, nature had won. Nature owns the world. We humans are just squatters. 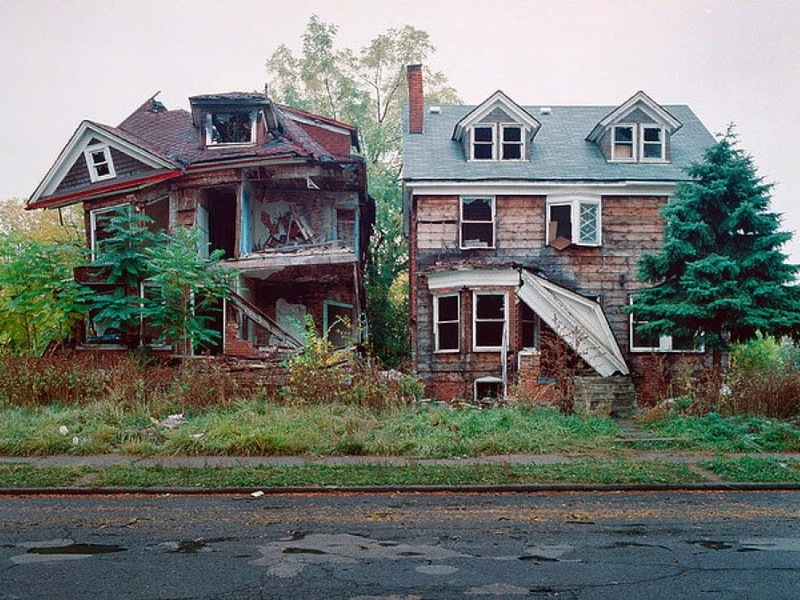 I think about this when I see pictures of Detroit houses whose owners have moved on. In fact, it happens all over the country. 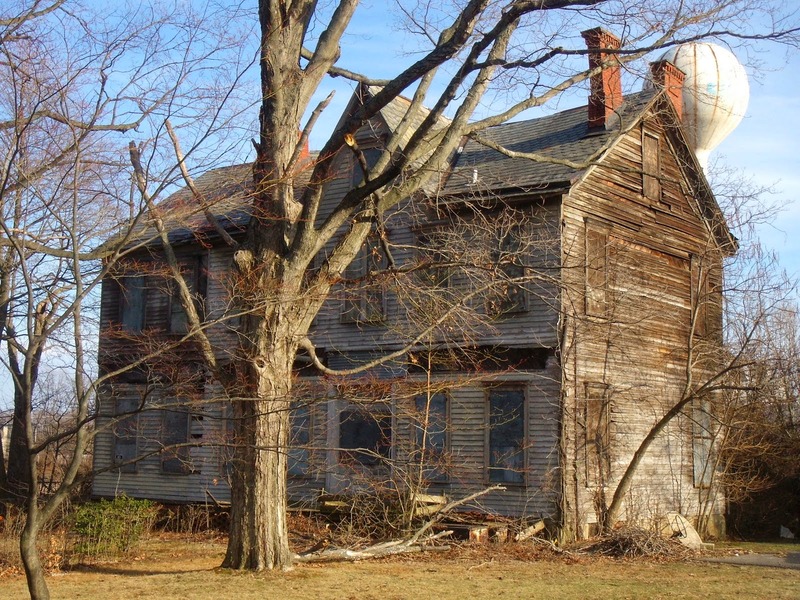 Here is a house that nature is reclaiming in New Jersey. 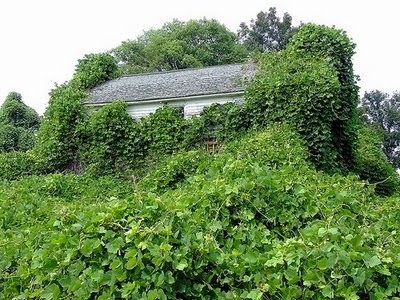 And here is a house in the American South that is being swallowed by kudzu. Several years ago, a house in our town fell into disrepair. The front yard grew tall and straggly, and dead leaves overflowed the gutters. Then one of the window screens worked its way loose and dangled over the driveway. The paint began to peel, and spots of green stuff, probably fungus, appeared on the roof. I heard that the man of the household had a gambling problem — he couldn’t fight his own demons and nature at the same time. Ultimately the house was sold. It looks fine now, but I wonder about the man, his wife and their children. 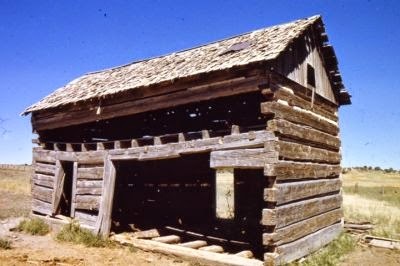 Below is a pioneer homestead cabin built in 1906 and abandoned during the Great Depression. Structures like these, now unlivable, dot the prairies, the Dakotas, Montana and portions of Canada. Nature has won, and humans, knowing their defeat, cannot muster the energy to tear down the little that remains. No matter. In time, nature will see to that. Love this assessment….. Nature has taken over lots of north-facing roofs in our part of the country after a snowy winter and wet spring…. but I guess that happens everywhere, I just don’t remember it in other areas which I have lived in.